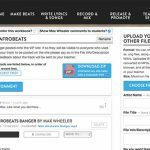 VIP Studio Sessions – the online secondary music education programme enabling the teaching of popular music genres like Grime, House and Hip Hop in the classroom, has launched a brand new competition for this academic year … read the rest. 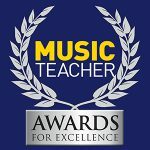 Charanga is thrilled to announce that VIP Studio Sessions is a finalist in the Music Teacher Awards for Excellence 2018. The category in the celebrated ‘Oscars of the Music Education world’ is for Best Digital/Technological Resource. … read the rest. 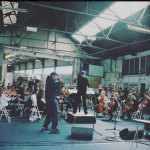 Initially conceived by VIP Studio Sessions author, artist and producer Max Wheeler, Grown: A Grime Opera was commissioned by Charly Richardson, Music Service Lead Officer on behalf of Essex Music Education Hub. Working with Max was … read the rest. 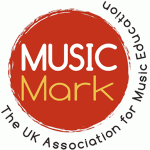 Charanga’s VIP Studio Sessions will be exhibiting at this year’s Music Mark Annual Conference 24 and 25 of November, 2017, at the Chesford Grange Hotel, Kenilworth. The popular national conference, whose theme this year is Diversity, … read the rest. 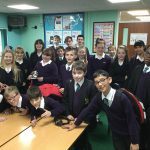 In September 2017, Charanga’s VIP Studio Sessions, the online music education platform that teaches young people how to write, produce and record their own tracks and songs, has further improved the way teachers can listen to, … read the rest. 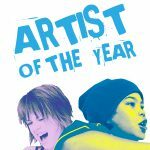 Congratulations to All Hallows School for winning VIP Studio Sessions’ school of the year award. Selected for being both the most active school in the country, and also the producers of incredible work including the first … read the rest. 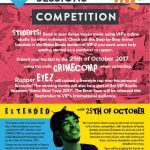 We have decided to extend the exciting VIP Studio Sessions Grime competition, which is open to all VIP users across the UK, to the 25th of October 2017. Winners of the competition will be appear on … read the rest. Following numerous requests from Teachers, August 2017 saw Charanga’s VIP Studio Sessions launch a new resource from its growing library of step-by-step guides: Pop Chords. The hugely popular step by step series break down the … read the rest. VIP Studio Sessions creator Max Wheeler recently debuted Grown: A Grime Opera, his first orchestral work in collaboration with Grime artist Eyez. 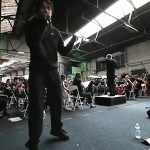 The work is a fusion of Grime and Classical orchestration, looking at the themes of … read the rest. 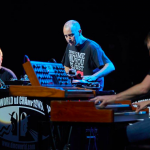 Woody started DJing in 1992. He made his name through the competition circuit when in 2001 he was the first European DJ to win the ITF (International Turntablist Federation) World Championship title in San Francisco. A … read the rest.